Representatives from six CARPHA Member States gathered in Port of Spain, Trinidad & Tobago to attend a training activity on BIREME’s FI-Admin tool to input data into MedCarib database. The cooperation between BIREME and CARPHA aims at enabling participants to strengthen the aforementioned database in the context of CARPHA EvIDeNCe Portal and provide visibility to the scientific output of the English Caribbean countries. In June 27-29, Marcia Barretto, Coordinator of Information Technologies Infrastructure of the Administration Management (ITI/GA) representing the Latin-American and Caribbean Center on Health Sciences Information (BIREME), in Port of Spain, Trinidad & Tobago, delivered the training on FI-Admin (which replaced LILDBI-Web) for representatives from selected member states of CARPHA (Caribbean Public Health Agency) in the context of a project, financed by the European Union, of support for health system strengthening for prevention and response to outbreaks of Zika and other mosquito-borne diseases in the Caribbean. 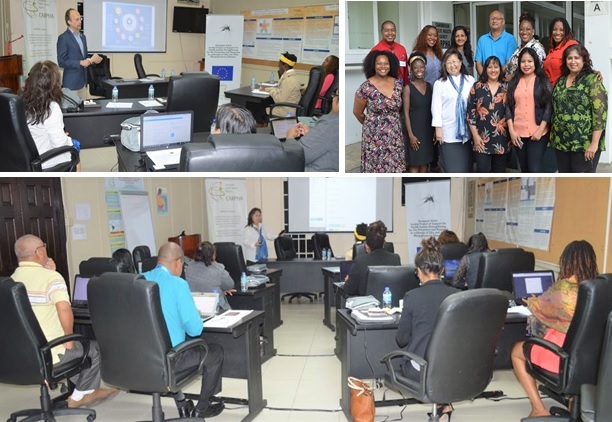 The training was attended by ten participants from six CARPHA Member States, Barbados, Belize, Guyana, Jamaica, Suriname and Trinidad and Tobago, including representatives from the MedCarib Network. It was focused on theory and practice based on LILACS (Latin American and Caribbean Literature on Health Sciences) Methodology using the FI-Admin tool to input information into MedCarib database, which is a cooperative product of the Caribbean English-speaking countries and is available also via the CARPHA EvIDeNCe Portal. 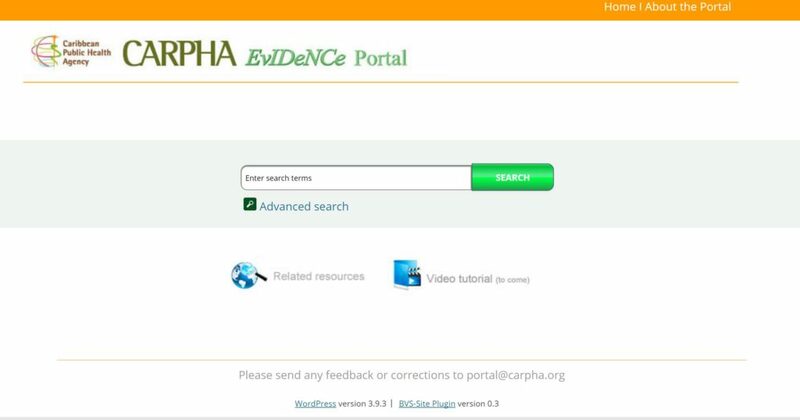 BIREME has being working with CARPHA in the development of its EvIDeNCe Portal considering the Center´s developments of products and services in technical and scientific information and its regional coordination of related networks such as LILACS and the Virtual Health Library (VHL). Dr. James Hospedales, Executive Director of CARPHA, opened the event welcoming the participants and the joint initiative highlighting the importance of the information for better health decision making based on evidence and the efforts of the involved partners such as BIREME and MedCarib. The evaluation of the training activity offered was very positive, especially the refresh courses to facilitate consistent and accurate data entry and the relevance to the participant’s activities and all agreed that the training cooperated to strengthen the MedCarib database in the context of CARPHA EvIDeNCe Portal. The CARPHA EvIDeNCe Portal is a continuously updated repository of research results, syntheses, and relevant documents for Caribbean public policies. The portal includes clinical research, investigation on population health and health systems, but excludes basic biomedical research. The types of syntheses included are abstracts on public policy evidence, brief syntheses, overview of systematic reviews, systematic reviews, and economic evaluations. The policy relevant documents originate from CARPHA Member States and the World Health Organization (WHO). The EvIDeNCe Portal also includes a guided overview of Caribbean data sources, pre-appraised research evidence and other types of information, tools, resources and training material to support evidence-based decision-making.